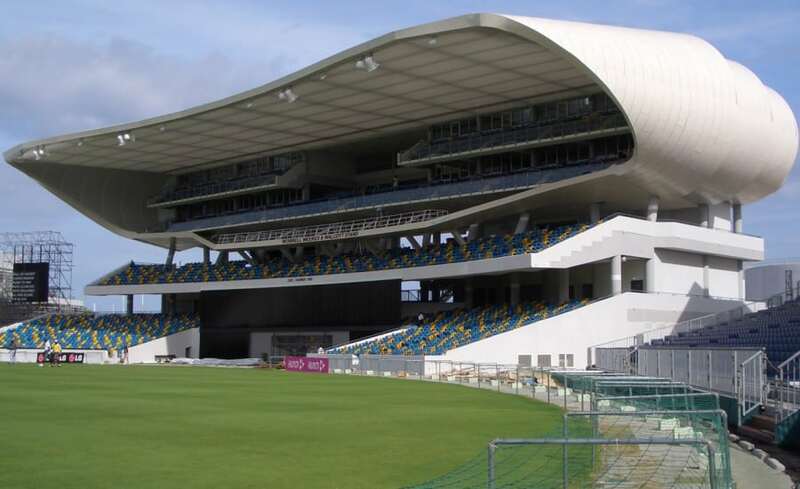 Architen Landrell fought hard to win the contract to install a series of fabric ceiling panels and sight screens in the Challenor stand at the Kensington Oval in Barbados. Renamed the Worrell, Weeks and Walcott Stand in an opening ceremony, the installation had to be ready for the ICC Cricket World Cup 2007. 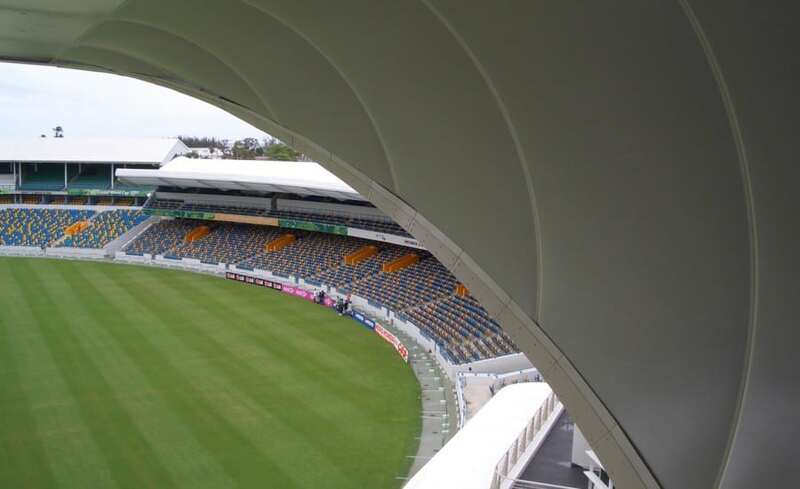 The stand was designed by London-based architects Arup, with Architen Landrell Associates providing ceiling liner panels, stretching across the underside of the cantilevered roof, as well as designing and installing sight screens for the upcoming cricket events. 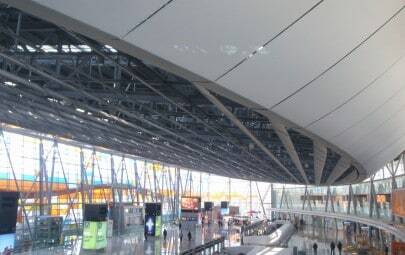 Work began in-house on the twenty-four translucent fabric panels necessary for the fabric ceiling in November 2006. By December our project managers arrived on site to head up a team of installers working intensively to fit all 1,500 m/sq expanse. 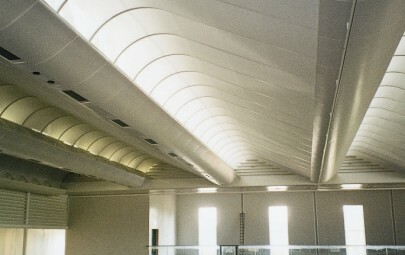 The finished fabric ceiling is a striking component of the key-note structure. 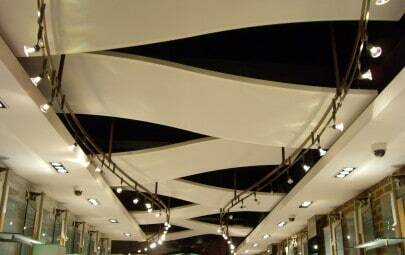 In addition to the fabric ceiling, we installed a number of sight screens. 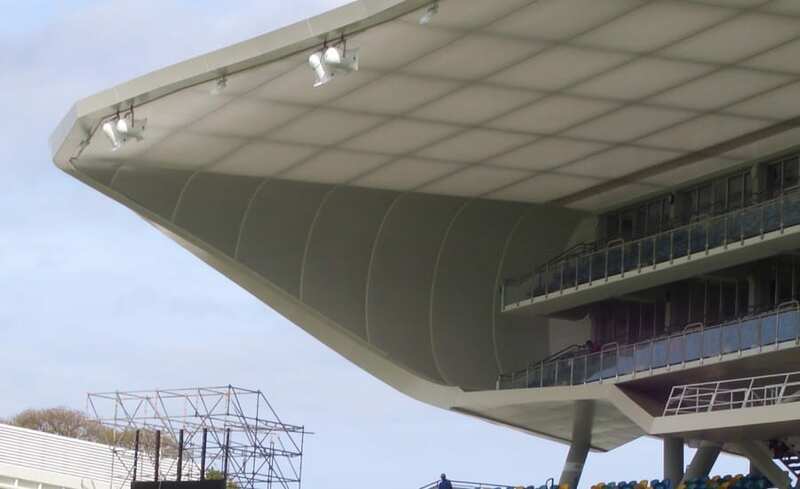 These screens incorporated an innovative design which allowed the Venetian blind-style screens to be changed from white to black, enabling them to be used for both the daytime and evening matches. 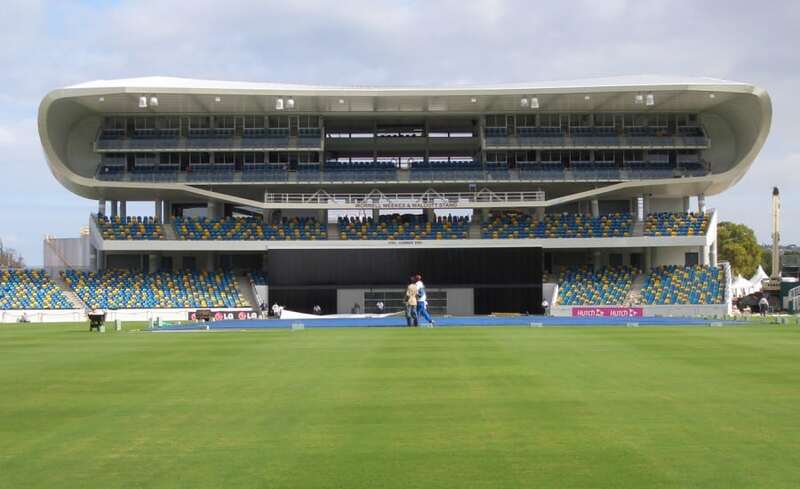 The stand itself forms part of a landmark redevelopment of the site. 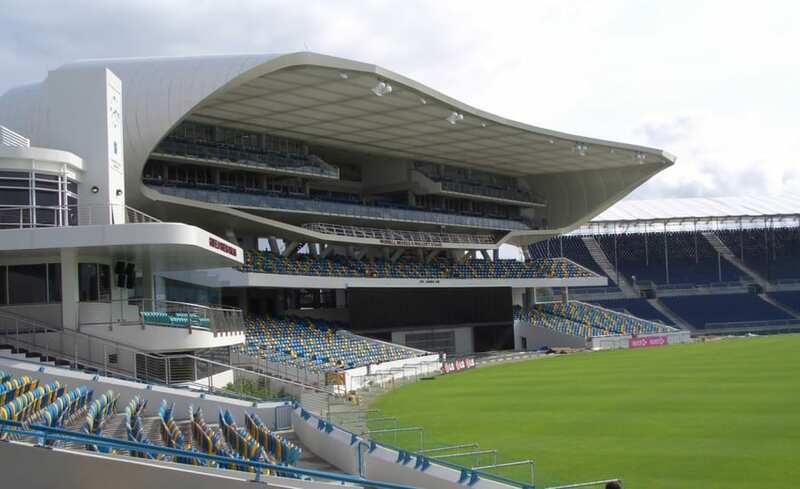 With seating for 28,000 spectators, the Kensington Oval will, in future, host a wide range of sporting and entertainment events for the people of Barbados.